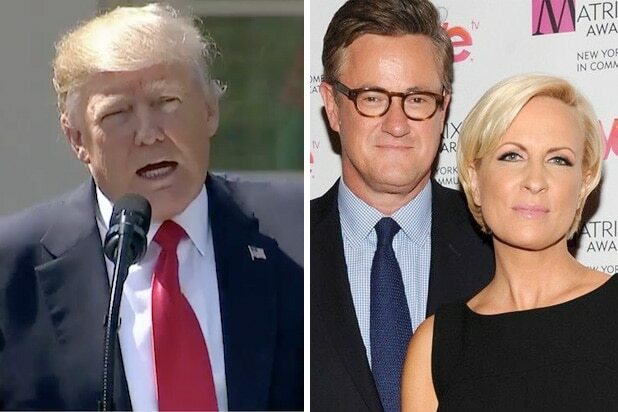 ‘Morning Joe’ Agrees With Trump: Why Didn’t Obama Do More About Russian Meddling? Joe Scarborough defended Donald Trump on Tuesday, saying the president was correct for asking why his predecessor, Barack Obama, did not do more to address the Russian threat to the 2016 election. Scarborough said it probably wasn’t the best use of the president’s megaphone to spend time on the issue, but declined to back down from his position. Scarborough’s defense of the president was a shift for the morning host, who has lately been more likely to compare Trump to Stalin and suggesting that he could be suffering from dementia. On President’s Day, Trump capped off a frenetic weekend of tweeting by raising a new line of attack against the Russia investigation, asking why, if the threat was so great, did President Obama not do more to halt Russian activities. “Obama was President up to, and beyond, the 2016 Election. So why didn’t he do something about Russian meddling?” asked Trump in a tweet Monday. Trump’s attack was picked up on “Fox & Friends” on Tuesday earning another round of tweets from Trump on the issue.